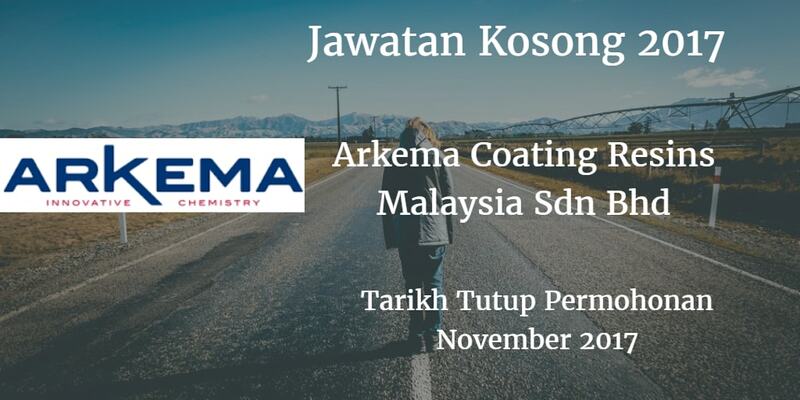 ARKEMA COATING RESINS MALAYSIA SDN.BHD. membuka peluang pekerjaan ARKEMA COATING RESINS MALAYSIA SDN.BHD., terkini 2017 ,ini. Implement, monitor and enforce OSH rules, regulations and procedures. Impact (EAI) and Planned Safety Inspections (PSI). Promote HSE safe work culture and awareness among employees. 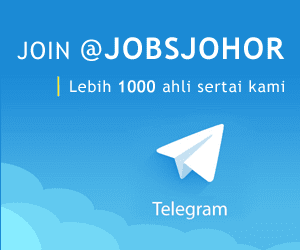 Minimum Diploma in Engineering (EnvironmentaI/Health/Safety) or equivalent. Minimum 3 years working experience in the related field is required for this position. Certified Safety Officer (Green Book Holder). Registered as Authorized Gas Tester (AGT) with DOSH would be an added advantage. Knowledge of ISO 9001, ISO 14001 and OHSAS 18001 Management System. Required Ianguage(s): English and Bahasa Malaysia. ARKEMA COAYING RESINS MALAYSIA SDN. BHD.